The new concept debuts Friday, Dec. 15. By Jacqueline Cain·	 12/11/2017, 10:15 a.m.
UPDATE: Friday, Dec. 15, 10:45 a.m.: Highland Fried opens today, and the menu’s now online. Along with your choice of fried chicken parts and a three-piece bucket, there is a smoked half-bird, St. Louis-style ribs, and more barbecue; sides, like buttermilk biscuits and cornbread, and Creole potato salad; sandwiches, vegetarian options, Key Lime pie, and more. Save room (and wits) for a salted lime slushy with tequila, hot buttered rum, or another classic tiki drink. Check it out in full at highlandfried.com. It’s really, actually, the end of an era. Brunch on Sunday was East Coast Grill’s last-ever shift—the Inman Square establishment quietly shuttered and will be transformed into a more streamlined concept called Highland Fried on Friday, Dec. 15. 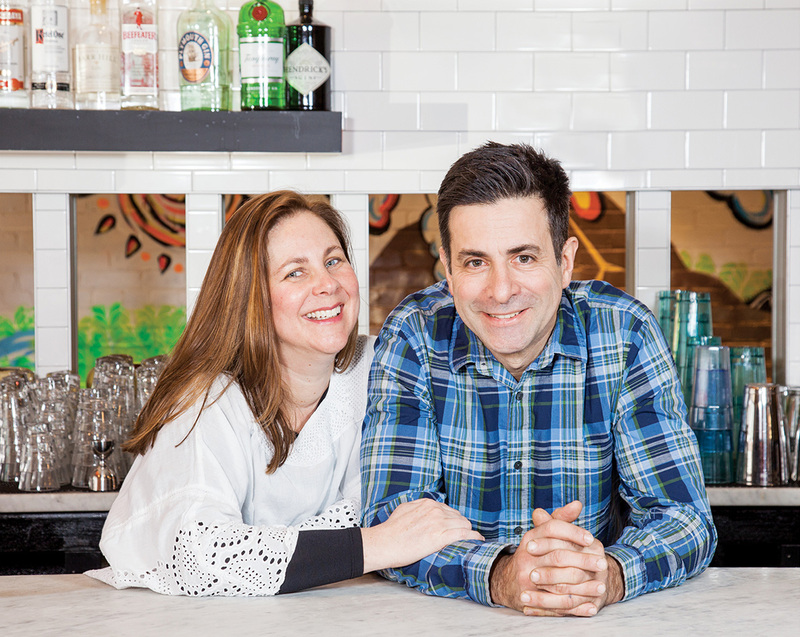 Highland Kitchen owners Mark Romano and Marci Joy, who opened their Somerville restaurant in 2007, reignited East Coast Grill just after the new year. The couple, who had met at the original East Coast Grill when it was owned by restaurateur Chris Schlesinger, were already looking for a second location when ECG went on the market in January 2016. 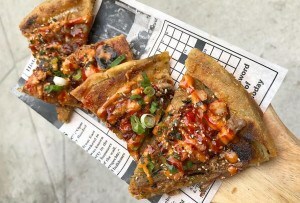 That meant taking over a beloved menu that spanned a raw bar to barbecue to wood-grilled and spicy specials. And because it was the Highland team, including bartender Joe McGuirk, they also decided to expand the bar program. “The concept was just too big,” Romano says. The owners started making moves toward Highland Fried last month, as Boston Restaurant Talk noticed. As Romano and Joy had put a fair amount of work into refreshing East Coast Grill last year, the new spot will keep the tiki decor, and the bar program, as well as “99.9 percent of the staff,” Romano says. But the new concept will focus on Romano’s fried chicken, a Monday night special at Highland Kitchen, and a menu staple at ECG 2.0. 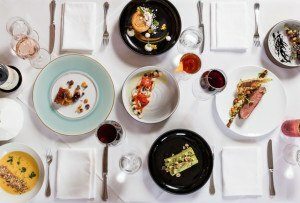 The menu will be rounded out with fresh oysters of the day, barbecue, and nightly specials more aligned with American comfort food rather than the equatorial cuisine for which ECG was known. The new restaurant will be even more casual than its predecessor, Romano says. It will open daily at 11 a.m., and do a bustling takeout business—look out for buckets of fried chicken and biscuits in the future. For those dining (and drinking) in, there will be a new jukebox installed soon. A pool table and a few video games have already taken up residence in the back dining room, which is now a lounge area. Romano says fans already said goodbye to East Coast Grill when it was originally sold, so there was no pomp and circumstance for the final demise of the once-iconic spot. And if you’re still craving the spice of Hell Night, the endurance feast lives on occasionally at the Automatic, a Kendall Square bar Schlesinger co-owns. 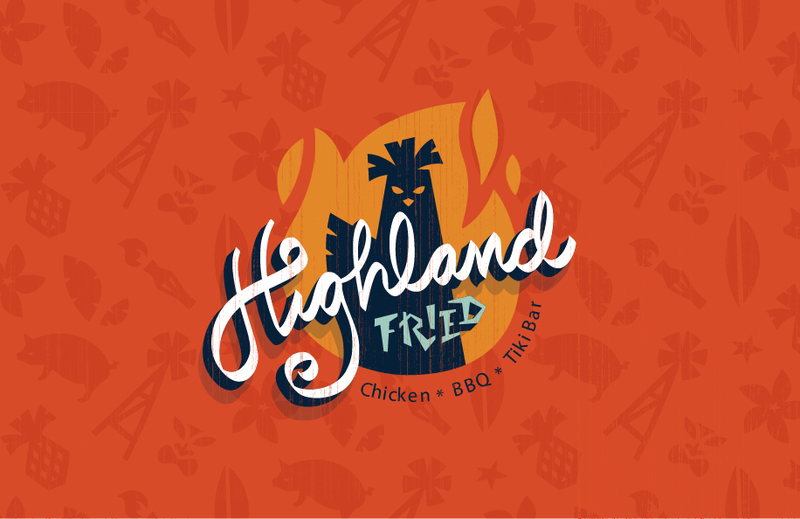 Highland Fried opens Friday, Dec. 15, at 11 a.m., and will be open daily for lunch and dinner. 1271 Cambridge St., Cambridge, 617-714-4662, highlandfried.com.